Filipino leader who fought first against Spain and later against the United States for the Independence of the Philippines. 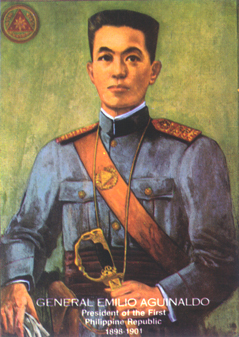 Born of Chinese and Filipino parentage, Gen. Emilio Aguinaldo, whom providence had placed as the supreme leader of his people at the critical period in their history. He was born in Kawit, Cavite, on March 22, 1869. He was the seventh among eight children of the spouses Carlos Aguinaldo and Trinidad Famy. Become the President of the Philippines during the Japanese occupation of World War II. Born in Tanawan, Batangas on March 9, 1891. His parents are Sotero Laurel and Jacoba Garcia. 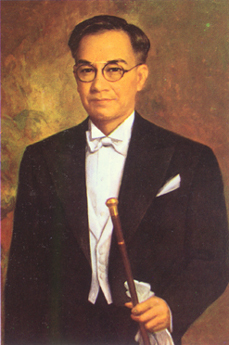 After receiving law degrees from the University of the Philippines (1915) and from Yale University (1920), he was elected to the Philippines Senate in 1925 and appointed associate justice of the Supreme Court in 1936. After the Pearl Harbor attack. 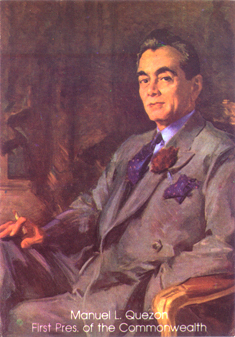 Laurel remained in Manila after President Manuel Quezon escaped first to Bataan and then to the United States. 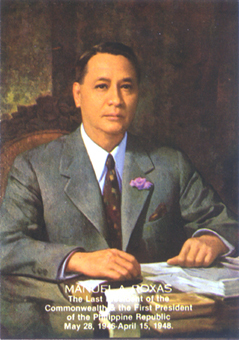 He offered his services to the Japanese; and because of his criticism of U.S. rule of the Philippines, he held a series of high posts in 1942-43, climaxing in his selection as President in 1943. Twice in that year he was shot by Philippine guerrillas but recovered, after the incident Laurel still held his post to served the Filipino people. It adds his eagerness and willingness to be of service to his countrymen. 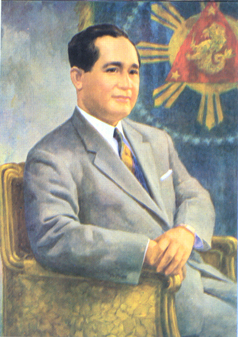 Filipino reformist president of the Republic of the Philippines. Best known as the "Champion of the Common Man." He was born in Barrio San Nicolas, Lubao, Pampanga, on September 28, 1910. His parents are Urbano Macapagal and Romana Pangan, their family was a middle class and a law abiding citizen, Macapagal pursue his studies in order to reach his goal in the future. Nevertheless, Macapagal finish his elementary at the Lubao Elementary School, he received an honor of being the valedictorian and in 1929 in the Pampanga High School for his secondary course, he is the salutatorian. 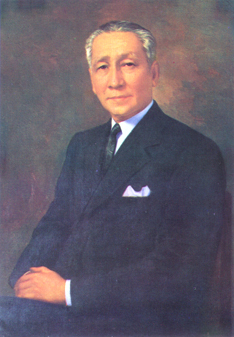 Philippine lawyer and politician who, as head of the States from 1966 to 1986. He was born in Sarrat, Ilocos Norte on September 11, 1917. His parents are; Don Mariano Marcos and Doña Josefa Edralin. His father is a politician, while his mother is a teacher in their hometown. 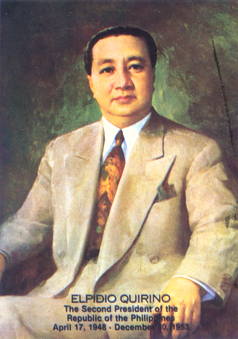 Marcos attended school at the age of five years old in Sarrat Central School, later he transferred to Manila. 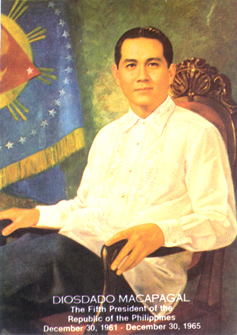 According to his scholastic records, Marcos always got an honor from his elementary and secondary course. He is best in oratory speeches as well as in debate and declamatory speeches. 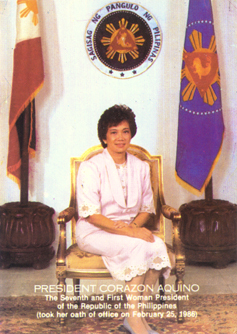 Political leader and president from (1986 to 1992) of the Philippines. In 1983 she succeeded her murdered husband, Benigno "Ninoy" Aquino Jr.(A popular critic of the Marcos administration), as leader of the opposition to President Ferdinand Marcos. No one could have imagined that Cory Aquino would become a president of the Philippines. Corazon "Cory" Aquino, the first woman to become president of the Philippines, was born in Tarlac on January 25, 1933. Her parents are Don Jose Cojuangco and Doña Demetria Sumulong. Cory was the sixth among the eight children of the Sumulong. Corazon Aquino's children are Maria Elena Aquino, Aurora Corazon, Victoria Eliza, Noynoy and Kris Aquino, her youngest child is a TV and movie personality. Fidel V. Ramos was born in Lingayen, Pangasinan on February 8, 1928. His parents are Narciso Ramos (A lawyer, a crusading journalist, a legislator and later, secretary of foreign affairs) and Angela Valdez Ramos. Fidel V. Ramos have two sisters, Senator Leticia Ramos Shahani and Gloria Ramos de Rodda, a diplomat. Become a Valedictorian of his graduating class at the Lingayen Elementary School in Maniboc, Lingayan, Pangasinan, he was the consistent valedictorian of his class, through his elementary grades and through his high school at the University of the Philippines. 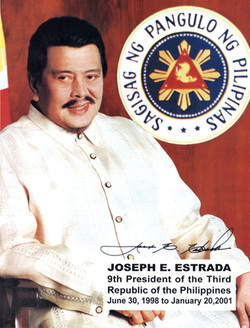 Displeased with his decision to drop out of college, his parents forbade him to use his family name, which forced him to adopt "Estrada" as a screen name and "Erap" ("pare" or friend spelled backward) as a nickname. Gloria Macapagal-Arroyo or GMA was born on April 5, 1947. 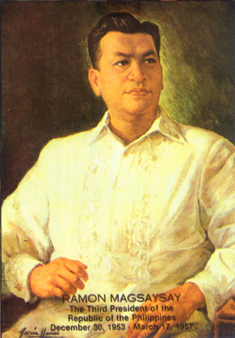 His parents were former President Diosdado Macapagal and Dra. Eva Macaraeg. She grew up in Iligan City. Benigno Simeon "Noynoy" Cojuangco Aquino III was born on February 8, 1960. His parents were former Sentor Benigno Aquino Jr. and former President Corazon C. Aquino. Aquino finished his elementary, high school and college education at the Ateneo de MAnila where he obtained a bachelor's degree in Economics in 1981. After college, his family left the Philippines to live in the United State of America, because his father, who was then detained for charges of rebellion by the government of President Ferdinand Marcos, was permitted to seek treatment in the United States. Aquino and his family returned to the Philippines in 1983, after his father was assassinated at Manila International Airport. In 1986, his mother became president after the historic "People Power Revolution". 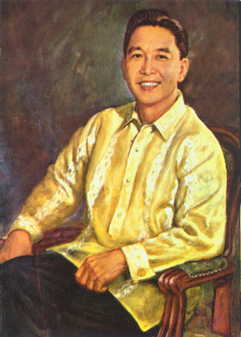 In 1983, after his return to the Philippines, Aquino worked in private corporations until 1993. 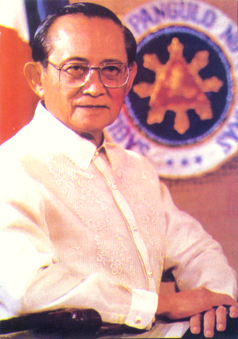 From 1993 to 1998, Aquino worked for the Central Azucarera de Tarlac. In 1998 Aquino ran for Congressman and served as representative of the 2nd District of Tarlac until 2007. As Congressman, he passed laws enhancing the effectiveness of public offices and improving the rights of workers and consumers. 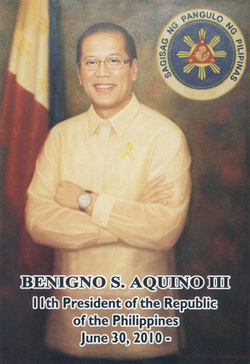 In May 2007, Noynoy was elected Senator. When his mother died in 2009, there where calls for him to run for President of the Philippines. To convince him, a million signatures were gathered by Edgardo Roces. On May 10, 2010, Aquino won the Presidential elections. He took his oath of office on June 30, 2010. Some of the laws that he immediately signed were the banning of the use of siren or "wangwang" in the streets for no serious reason, and the voiding of "midnight appointments" in government positions. He also established the "Truth Commission" to investigate graft and corruption, and abuses of the government of Pres. 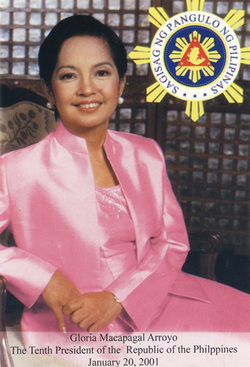 Gloria Arroyo. (46 years old when elected) and Ferdinand Marcos (48 years old when elected). He is the third president who only holds office but does not reside in Malacañang Palace, following Corazon Aquino and Fidel V. Ramos. He is the first president to make Bahay Pangarap his official residence. He is the first elected president who does not have a wife and children.